Flexsteel Devon Reclining series features transitional styling. 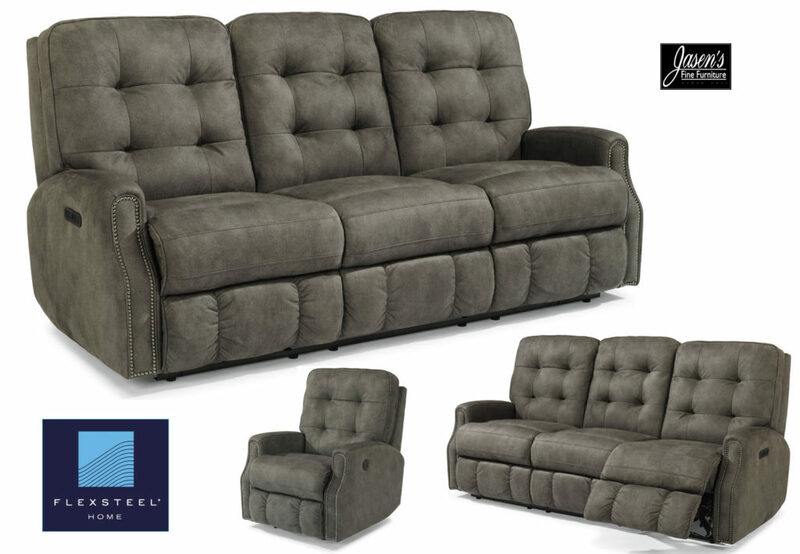 This reclining series features transitional styling with it’s tufted back and black nickel nail trim. The series can also be ordered with out the nail heads or in any fabrics and leathers. The Devon is also available in a sofa, loveseat, console loveseat, and chair. Each piece has multiple mechanisms that are available for a large assortment of combinations for your room. The set can also be ordered with power reclining chaise and power reclining headrests. Lastly, the power reclining with power headrests feature comes with a USB port for charging your devices while you relax!